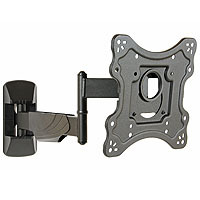 Choose from our great range of TV wall mounting brackets. We have slim fixed, tilt, cantilever and corner mount options. 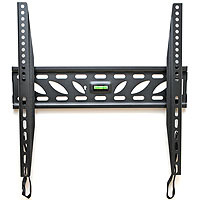 Long Reach Cantilever TV Wall Mount Bracket for most 39 to 70 inch Screens A heavy duty long reach TV wall mount with tilt and swivel adjustment. The wide wall plate makes it suitable for stud wall installations. 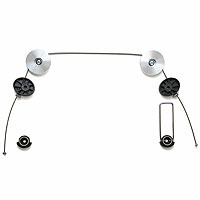 For TV's with up to 600x400 VESA fixings. Model: LPA49463D. 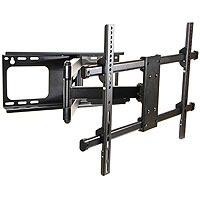 Strong Cantilever TV Wall Mount Bracket Long Reach for most 39 to 55 inch Screens This heavy duty cantilever TV wall mounting bracket with both swivel and tilt function has a long reach of 615mm when fully extended and folds flat to an impressive 62mm. Model: LPA49443. Slim TV Wall Bracket Tilt Swivel Corner Mount 200mm VESA A flexible TV wall bracket with swivel and tilt adjustment which is suitable for most 23 to 42 inch flat screens. Model: KMA28222. 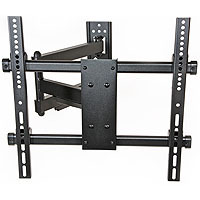 Cantilever TV Wall Mount Bracket Tilt Swivel 13-43 inch A cantilever wall bracket to mount a TV or PC Monitor with swivel and tilt adjustment. 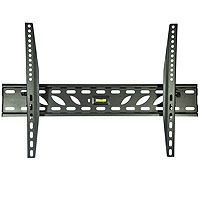 It is suitable for most 13 to 43 inch flat screens up to 30kg. Model: LDA19223. 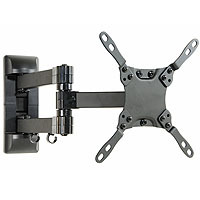 TV Wall Bracket - Slim Tilt Mount for most 37 40 42 47 50 55 60 & 65 Inch TV's A slim tilting wall mount which fits most 37 to 70 inch LCD, LED and Plasma TV's. It tilts 10 degrees down and has a low profile of just 44mm. Simple thumb screw tilt adjustment - no tools required. For TV fixing points up to 600mm x 400mm. Model: LP1146T. 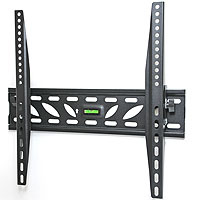 Tilting TV Bracket - Slim Tilt Wall Mount for most 39 40 42 47 48 49 & 50 55 inch Televisions A slim tilting wall mount which fits most 39 to 55 inch LCD, LED and Plasma TV's. It tilts 10 degrees down and has a low profile of just 44mm. Simple thumb screw tilt adjustment - no tools required. For TV fixing points up to 400mm x 400mm. Model: LP1144T. Slim Fixed TV Wall Mount Bracket for most 39 to 55 inch LED & LCD Flat Panel Televisions This simple to fit wall mount has a spring loaded mechanism to lock the TV in place. No more fiddly locking bolts to reach! It has a low profile of 26mm and suits TV's with fixing points up to 400mm x 400mm VESA. Model: LP1044F. Ultra Slim TV Wall Mount - Universal Flat Screen Wire Type Mounting Bracket An ultra-slim fixed LED TV wall mount with adjustable mounting wire, which fits most 37 to 70 inch flat panels. TV to wall depth is only 14.5mm, with easy cable connection using the hinged stand-off. Model: LED01X.